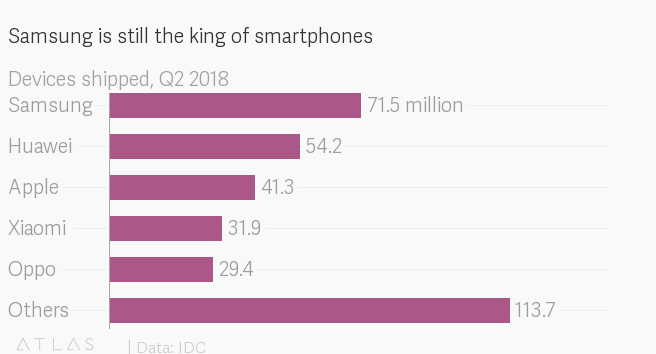 Samsung is still the dominant smartphone manufacturer in the world by a wide margin, according to the market-research firm IDC. Apple, its longtime rival in the smartphone wars, recently fell to third place in worldwide market share, behind Huawei. Samsung launched a new advertising campaign earlier this year called “Ingenius,” clearly mocking the Genius Bars found at Apple stores. The ads focus on a dimwitted Apple employee who toes the company line on its products, and remains unaware of what other companies offer, as customers who seem to know a ton specifically about Samsung products pepper him with questions.